The black sphere a little up and left of center is a magnetite sphere from manufacturing. 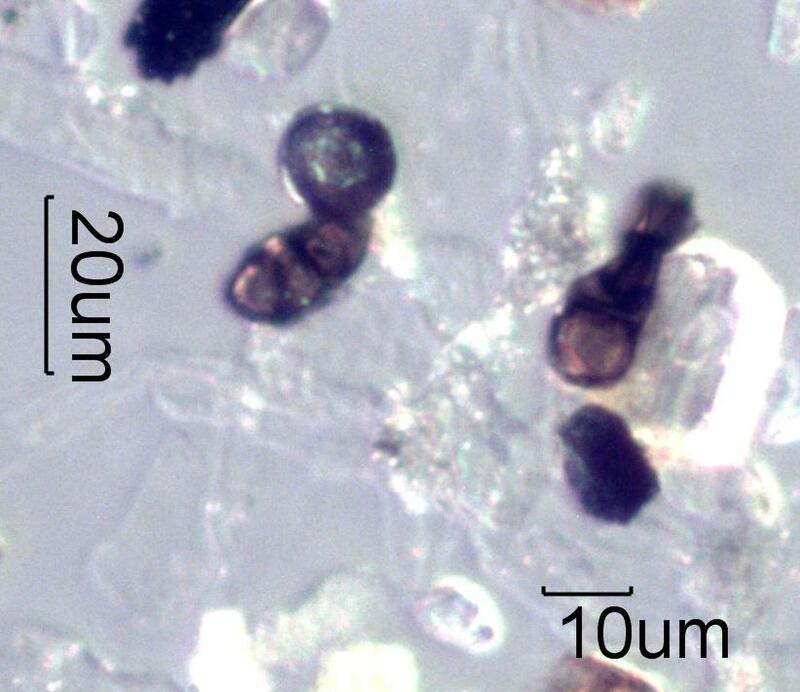 The brown particle below it and the other brown particle to the right are both fungal spores. These may have been introduce during the assembly of the transformer or may have been contaiminants in the oil.